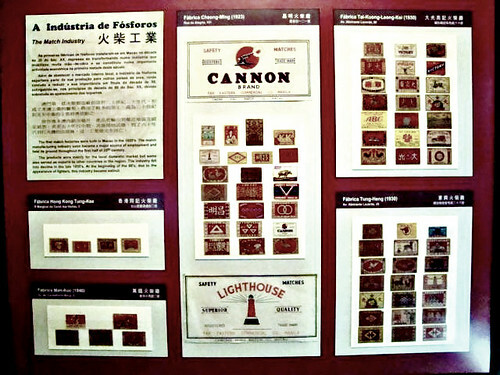 Museu De Macau is steps away from Ruins of Saint Paul. Being on a package tour has twin effects, the time constraints and efficiency. Our tour guide allotted us two hours to visit the ruins and museum. I suggest that you see the ruins first because there’s a tendency that you will be unmindful of the time once you’re inside the museum. The museum allows non-flash photography. But I noticed that not too many were taking photos. The visitors are multi-cultural and I assume that the interest in checking the bits of the museum will vary with the orientation, intensity of exploration, and basis of comparison. I also noticed that some of the museum’s keepers are Filipinos. I chatted a little with one of them and claimed that there are so many kababayans (fellow Filipinos) in Macau now. 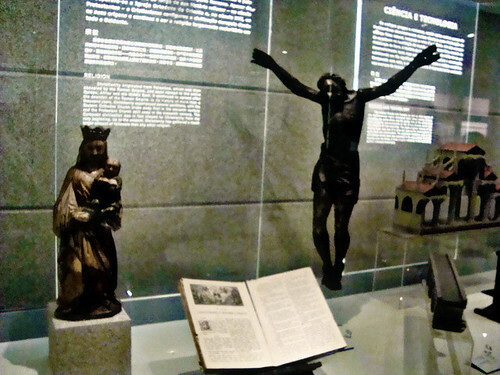 The first area showcases rebultos (images) of old Chinese people, those of Jesus Christ and other traces of Christianity. This is not surprising since Macau has been under the colony of Portugal for a long time. 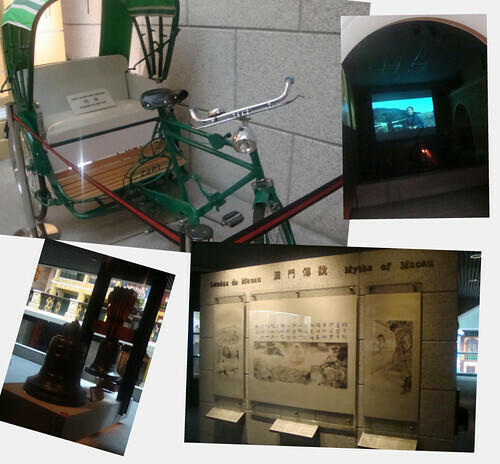 In addition, the Myths of Macau, a model trike and an area with TV featuring the history of Macau (reminds me of Lights and Sounds Museum in Intramuros) can be found in the main area. 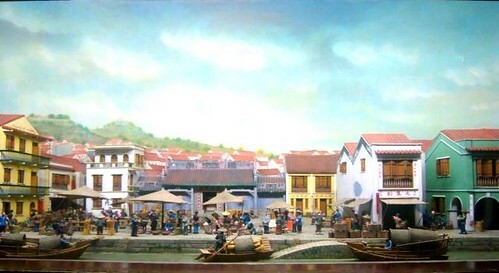 There’s a miniature of old trading that happened centuries ago. One of the most interesting displays here are the seemingly Chinese ‘dolls’. They are eerie and great to look at. 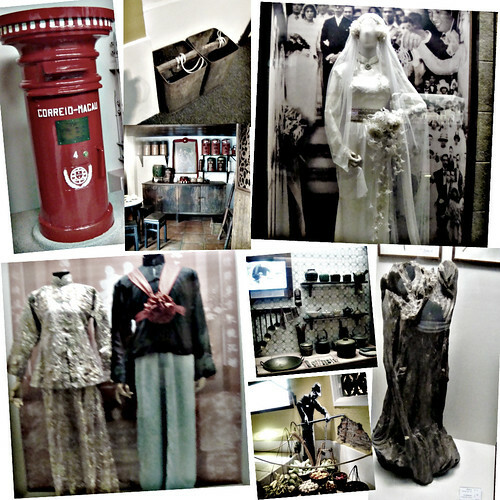 Traditional dresses, postal box, spices, pro-forma kitchen are also on display. 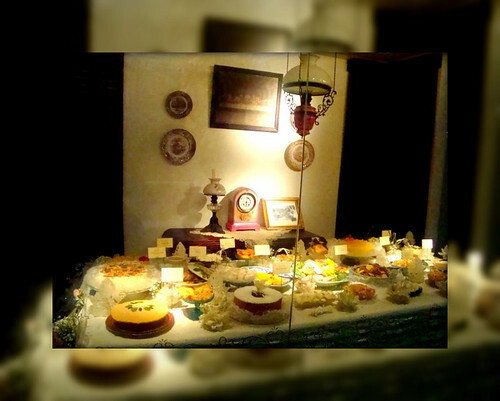 Of course, there is a showcase of artificial Macau food. I wished these were real and will then go out of the glass wall. I remember when I was a kid when someone feels cheated, he’d say “Lutong Macau”. Lutong Macau refers to anything preconceived or planned and is bound to occur. The phrase might be from the local experience that Macau Chinese are known for their style of cooking and restaurants who promote the cuisine-prepared ingredients even before it is ordered. 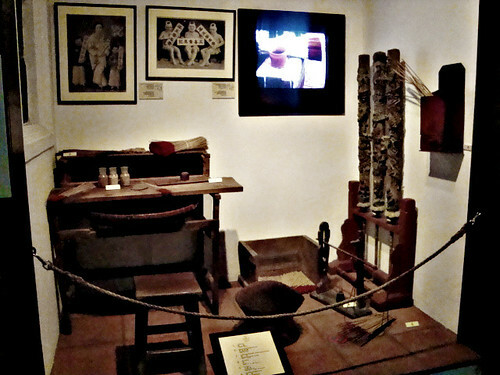 A substantial amount of display is devoted to history of firecrackers. There was a time that Macau became one of the largest exporters of fireworks. 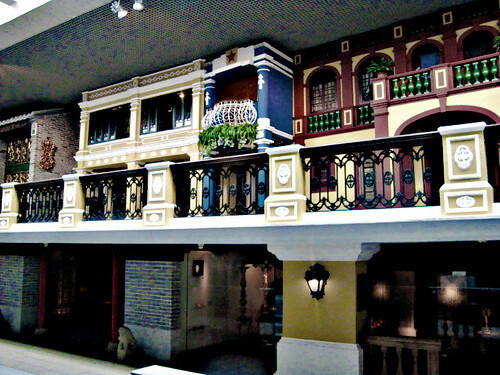 The museum also offers a two-storey fancy row of houses. A traditional living room in Macau. I liked it a lot especially the paintings. 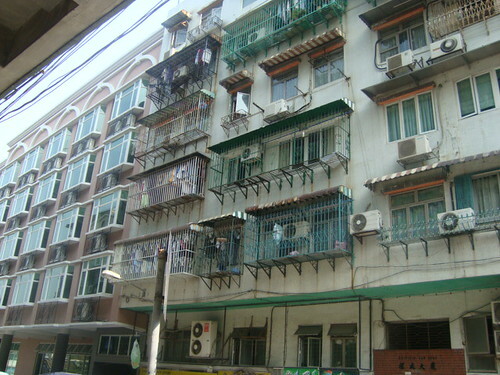 As of present time, this is how the houses in Macau generally look like. It’s very Binondo. I took this while we were walking back to the tourist bus as we were headed to the Fisherman’s Wharf (details in next post). I also noticed that motorcycles are very popular there. As a side note, most of the signs are still written in Portuguese. 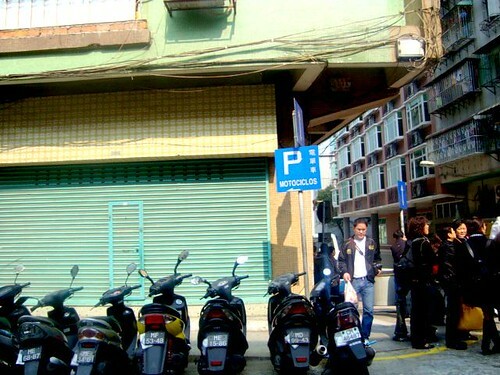 Just like on this motociclos parking. 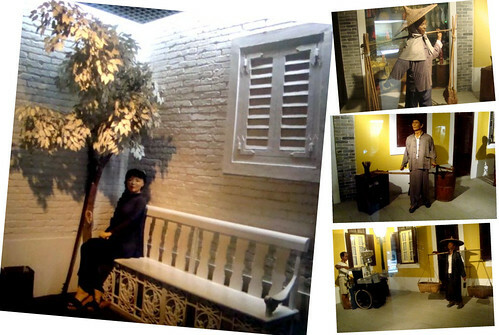 I have visited Museu De Macau before our very own Museum of Filipino People. I’d say the latter has more to offer and is at par with cleanliness of Macau’s. Here’s a very good video of Old Macau (1960s). I think this would speak better than the museum. I’m not a Macau local, but I felt having a trip down history after watching it. Quite interesting how a country evolves through time and history. I never thought Macau was once a big producer/exporter of fireworks. I wonder who were they exporting most of the fireworks. Your camera was busy! I loved the fake food and the wedding dress doll. Thank you for sharing all these, I hope to someday go to Macau as well. 🙂 You write great travel posts, so I hope you keep traveling too! great shots inside the museum. 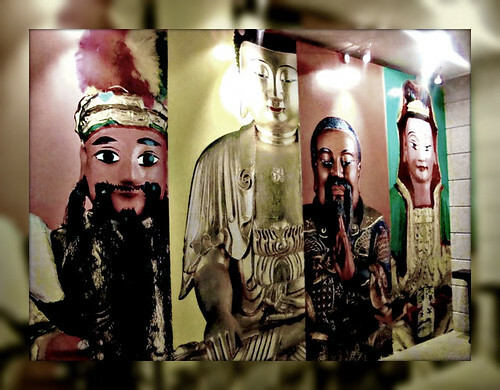 Macau is so rich in its culture not just being known for the casino royale of asia. blue roses last blog post..random updates! ibat iba talaga ang kultura ng ibat ibang lahi at lugar makikita sa mga post mo ang kanilang way ng pananamit at tradisyon! what’s great is you were allowed to take photos of the museum pieces. this reflects their heritage and the beautiful culture. Thanks for sharing, Garandee and I have been really wanting to visit Macau. Hopefully we can do that soon. this macau travel is very interesting. there is so much to see and enjoy.